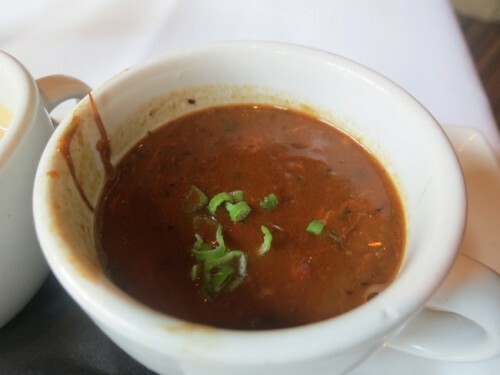 On a beautiful afternoon in Baton Rouge, Louisiana we set off to eat our way through downtown Baton Rouge on a C’est Si Bon Food Tour, hosted by the lovely Kimberley Harper from Baton Rouge Food Tours. 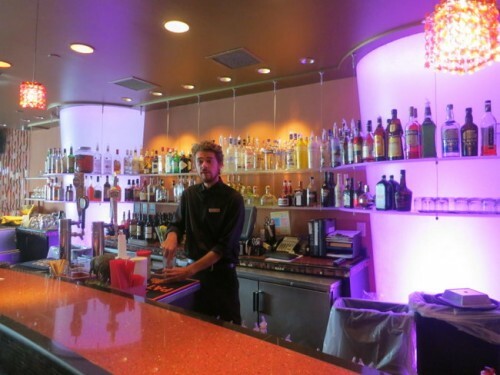 The tour includes visits to 5 restaurants to have a drink or a taste of a signature dish. 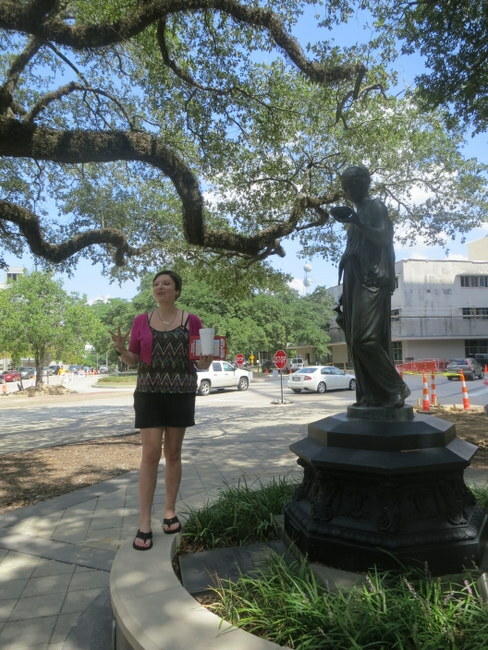 As we walked, Kim explained some of the history of Baton Rouge and points out landmarks and beautiful architecture. The first stop was the Lobby Cafe. 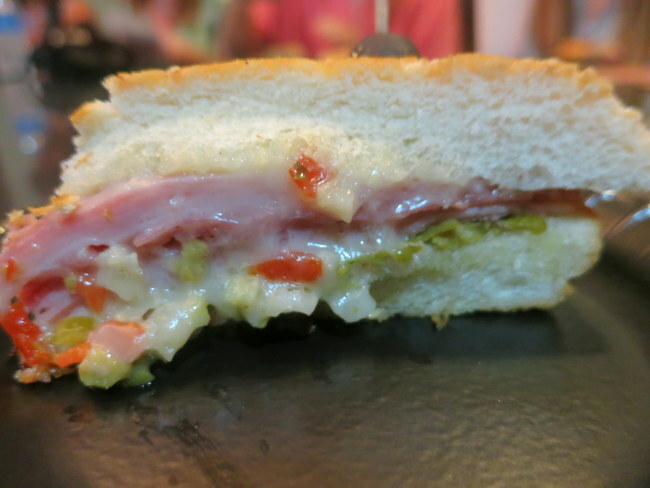 This Muffaletta was my first taste of this classic New Orleans sandwich. Muffaletta is Sicilian, named after the bread it’s served on. It has ham, salami, white cheese and an olive salad spread. Olive salad is diced olives, cauliflower and carrots with oregano olive oil and other seasonings. It was served up warm and was basically heaven in my mouth. Little did I know that I would be so stuffed that this would be my only taste of Muffeltta during this trip. It was really good, and I’m glad I was able to try it. A Po Boy is just another word for a submarine sandwich! 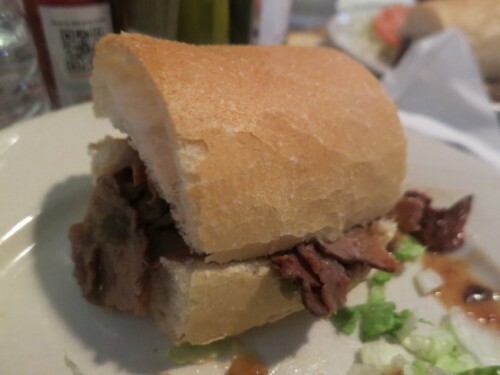 This tasty Po Boy was from Poor Boy Lloyd’s and was filled with warm, juicy roast beef. It was messy but worth it! The only cocktail on the tour was the famous Hurricane. Named after the hurricane lamps they were served in. 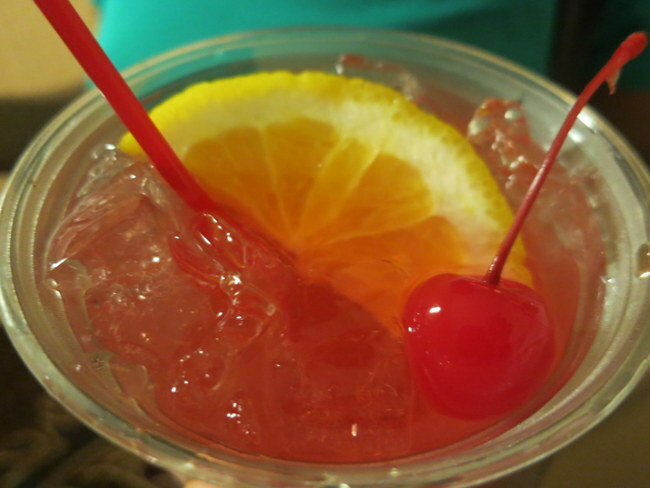 It has strawberry rum, white rum and dark rum. Strawberry rum! It was very fruity and very strong. Both of these soups were so amazing and possibly life changing. 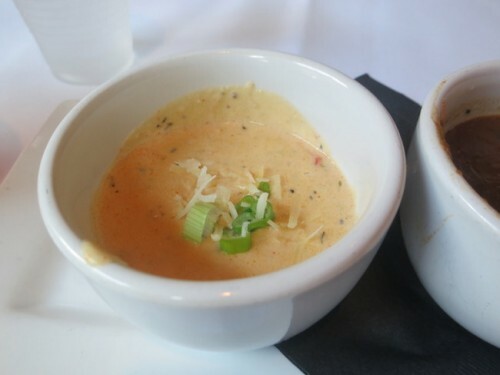 The bisque was creamy with chunks of tender lobster. The gumbo was spicy and very rich. If I could marry a soup duo, this would be it. Restaurant IPO served an inventive Duck Popper! 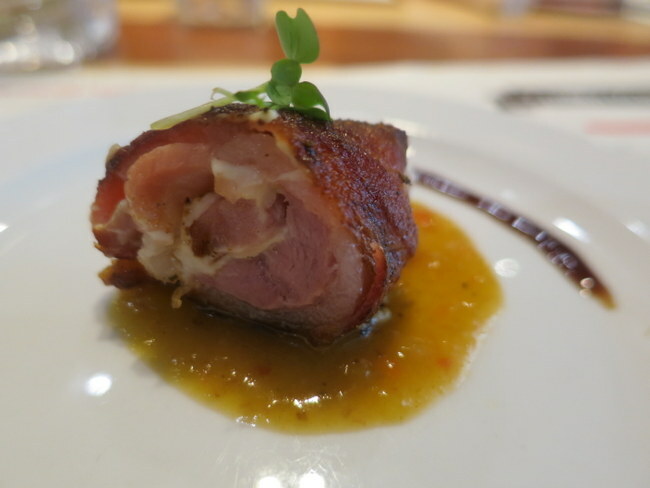 Duck was wrapped with bacon and served with with house made roasted jalapeño bacon peach pepper jelly. The flavours were unusual but worked very well together. We ended on a sweet note with warm blueberry bread pudding in caramel sauce at Zolia’s. They have an in-house pastry chef. 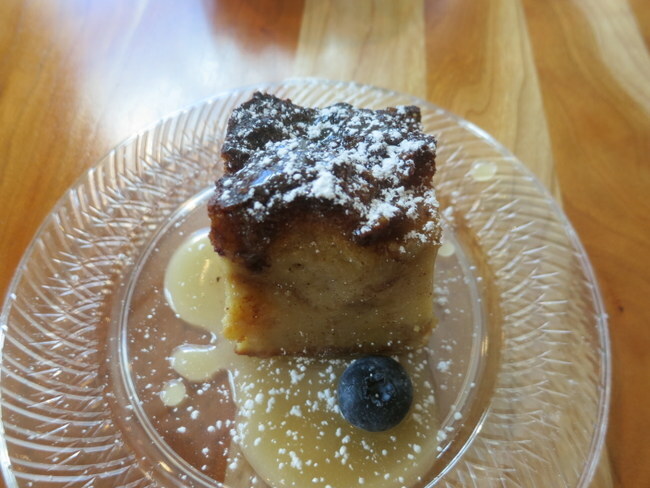 Bread pudding is one of my least liked desserts, but I ate the entire, decadent slice. It was just so good. Baton Rouge Food Tours are $45 per person, all inclusive. 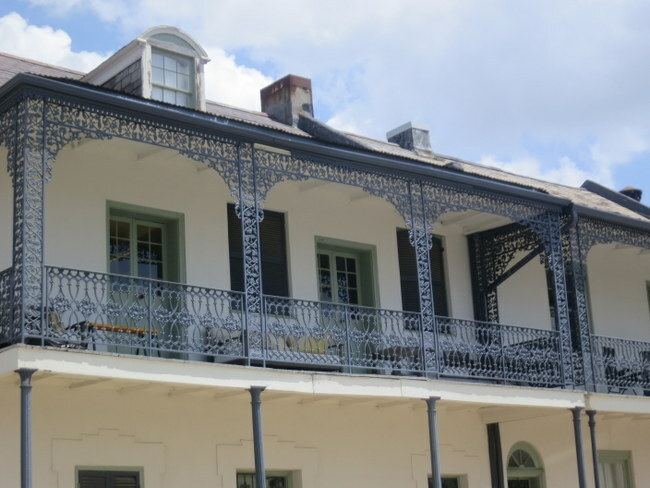 Each tour is about 2.5 hours long and takes place in downtown Baton Rouge. Baton Rouge Food Tours believe in creating good relationships, so they always tip the service staff beforehand.